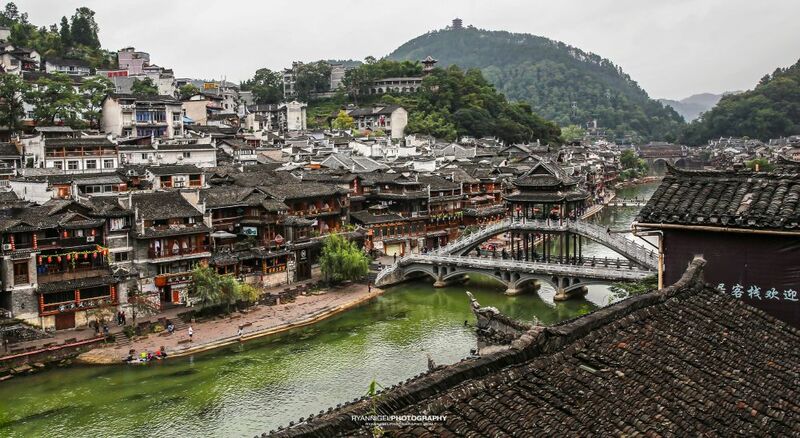 When you mention that you have been in Fenghuang China most Western people will ask you where it is. You tell it to Chinese people and everybody knows what you are talking about. 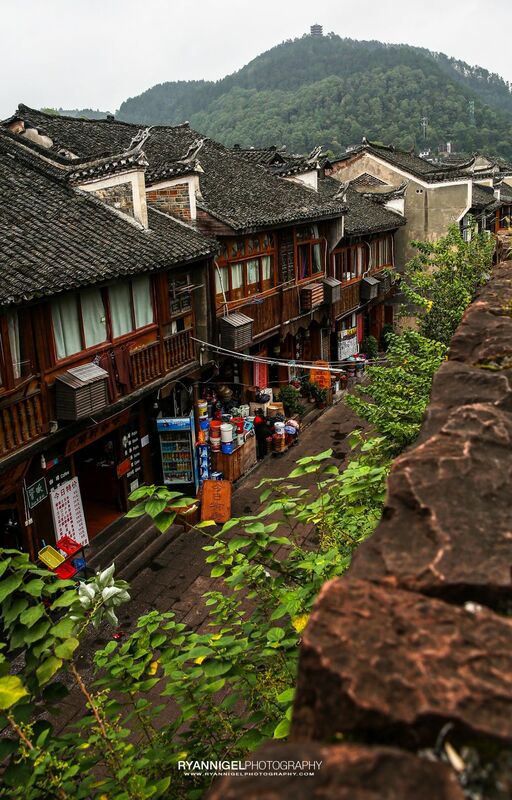 Fenghuang County has an exceptionally well-preserved ancient town that the home for some unique ethnic languages, customs, arts as well as many distinctive architectural remains of Ming and Qing styles. 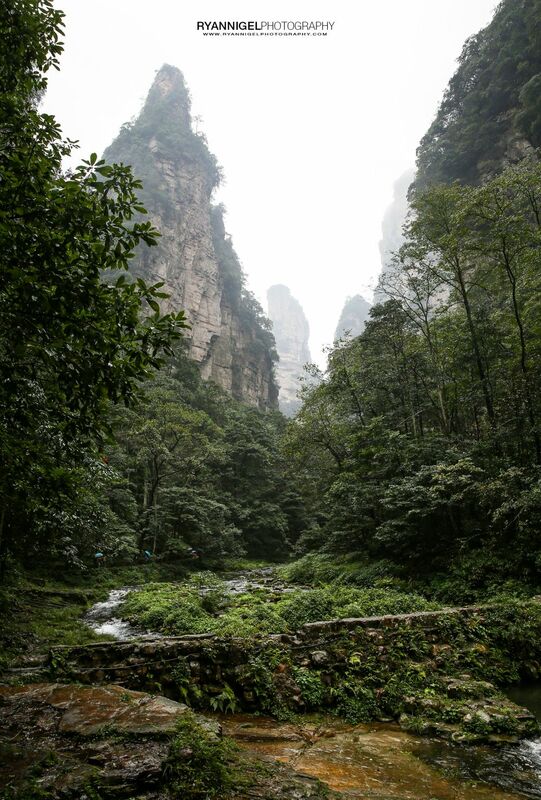 The town is situated on the western boundary of Hunan Province in an area of outstanding natural beauty where mountains and water prevail. 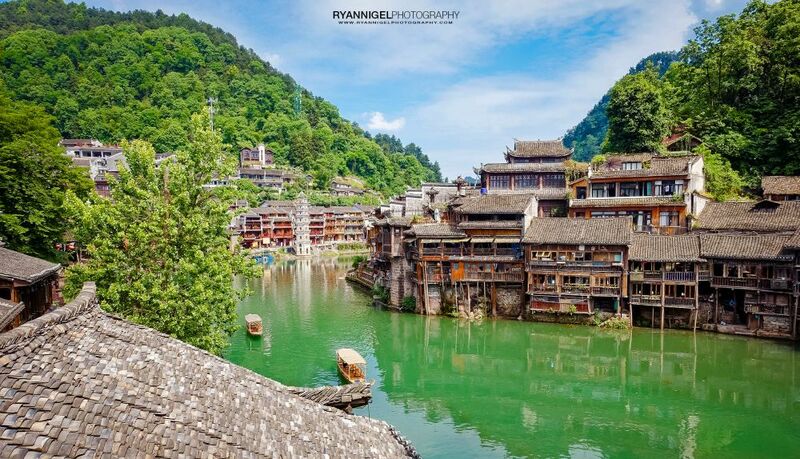 ‘Fenghuang’ is Chinese for ‘Phoenix’, the mythical bird of good omen and longevity that is consumed by fire to be re-born again from the flames. Phoenix Ancient Town is so called as legend has it that two of these fabulous birds flew over it and found the town so beautiful that they hovered there, reluctant to leave. 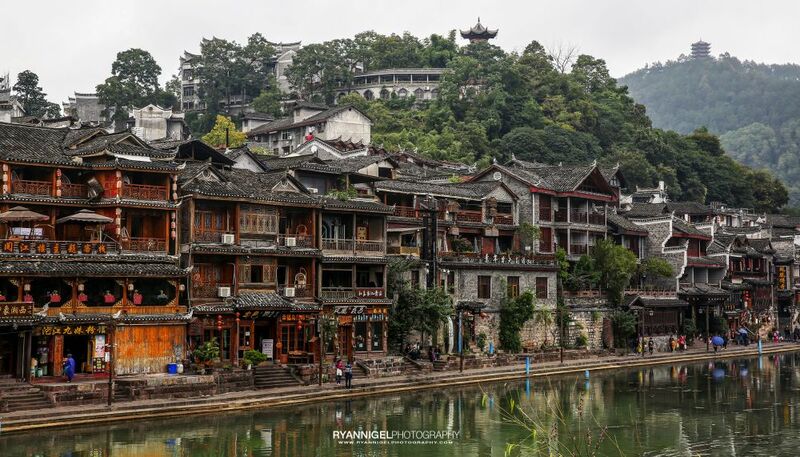 Together with Chang Ting in Fujian Province, Fenghuang is considered among the most beautiful towns in China. 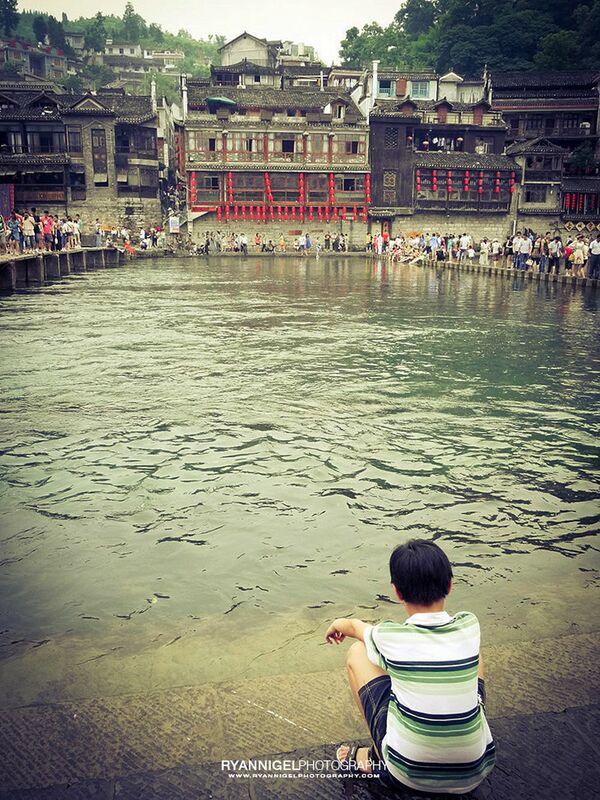 But is can be very very busy in Fenghuang. Local tourism floods the area and hotels are booked out. There are many (small) hotels from very cheap to very expensive. 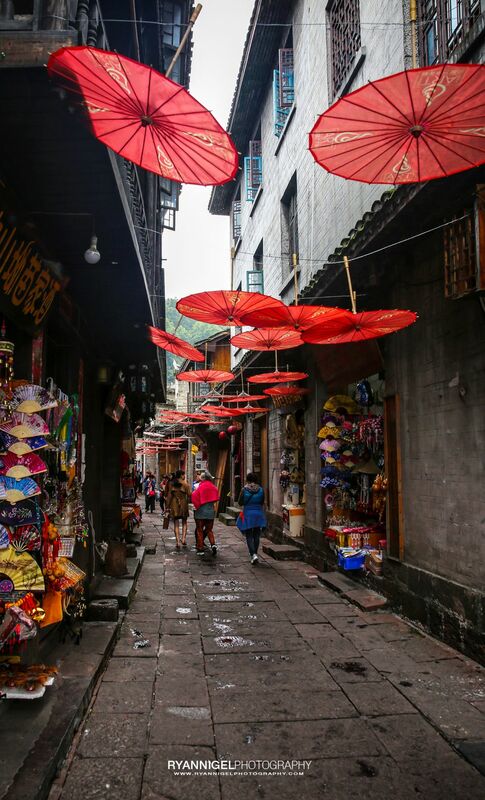 And, as with many tourist places, also here you can find tons of small shops offering handcrafts, tours, etc. But the nice thing is that it never gets bored. The setting, the scenery, the culture and even the large crowds: it is so perfectly balanced that you still have a good time, no matter what. 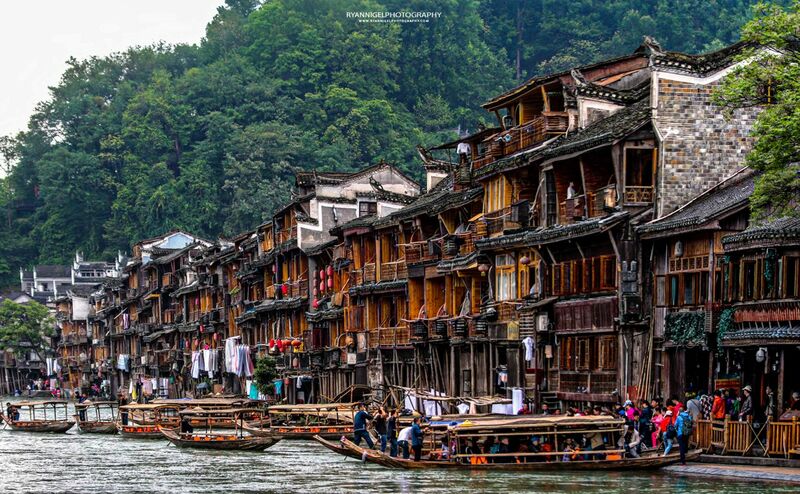 If you are planning to visit Fenghuang try to stay more than one day. Stay 2 or 3 days, hell, stay 4 days ! There is so much to see. Also, at evening when it gets dark, the view on the river is just amazing. In the links below you can find more information about the history of the town and some travel information as well. 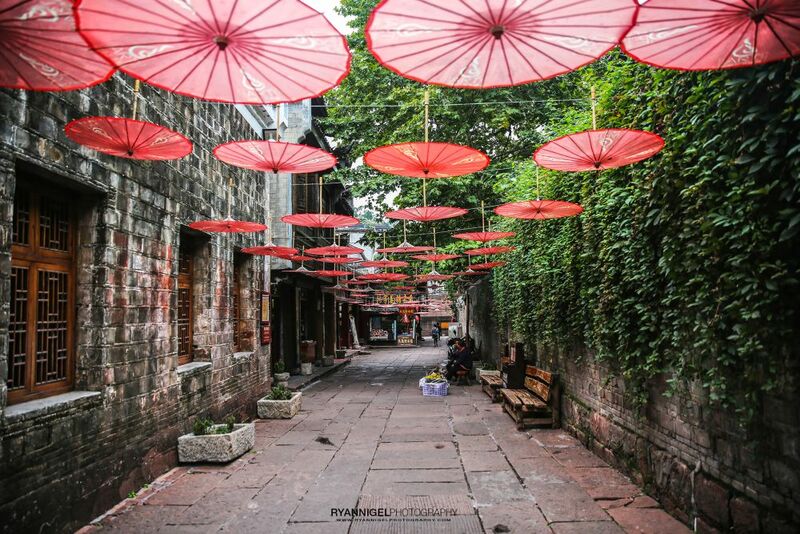 Note: When you want to visit Fenghuang, go in Spring and autumn. It is advisable for tourists to avoid May festival (May 1st to 7th) and National Holiday (October 1st to 7th), because there will be very large crowds of tourists. 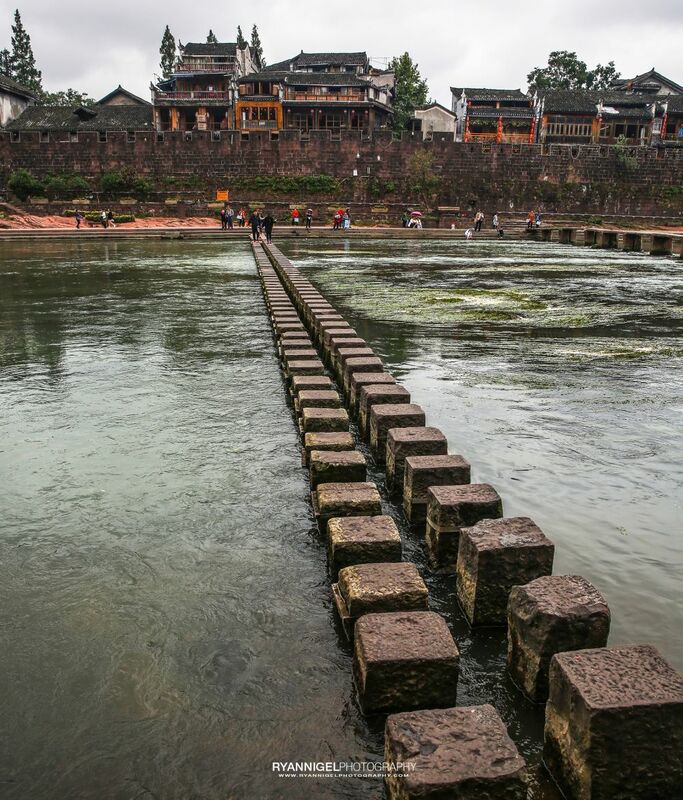 Take a boat ride on the Tuo Jiang River. 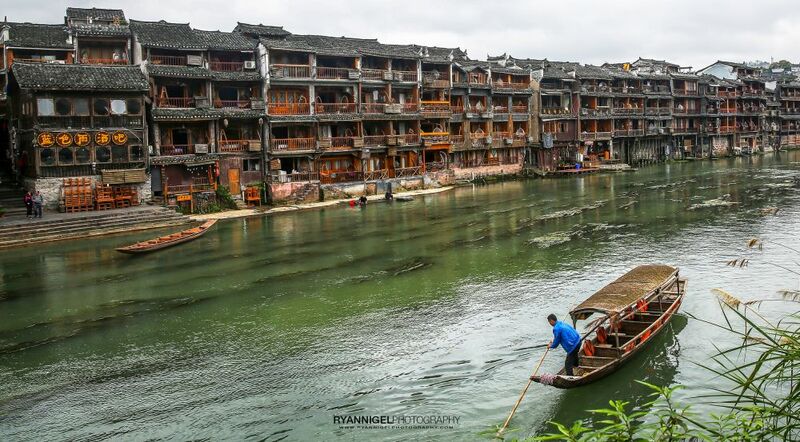 A gentle boat ride down the river allowing you to check out the town from the water. 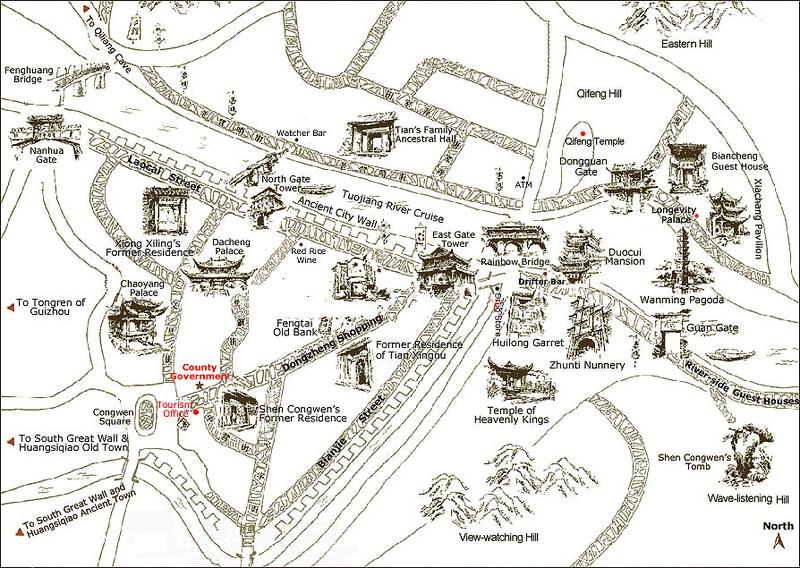 If you bought a through ticket the ride takes you from the wharf by North Gate, and drops you by Wenshu temple. The Ancient city itself is already worth a day discovery. It is SO nice so scenic. I am a photographer and after 3 days of shooting I still couldn’t stop. 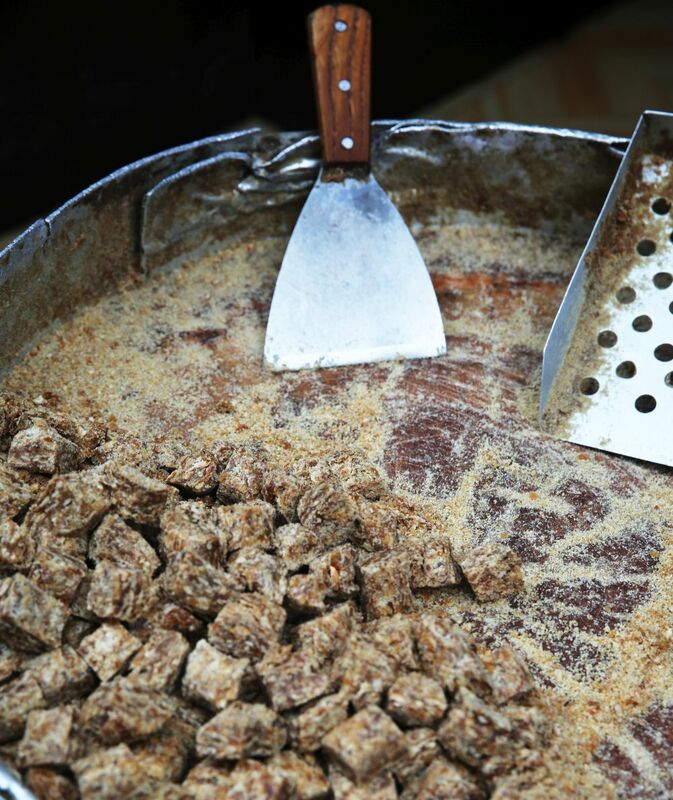 Try the small restaurants, eateries, shops, see the handicrafts, traditional clothing, etc. 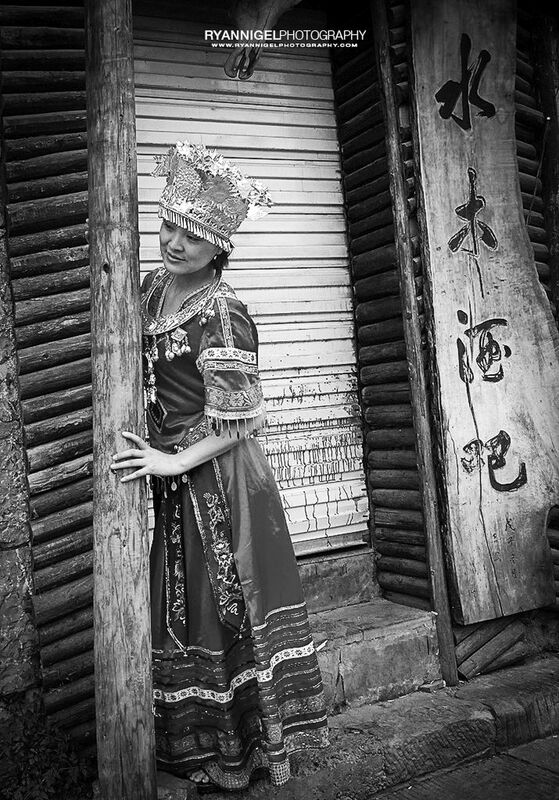 Each year there is dragon boat racing held in the town on the dates around Dragon Boat festival. The festival is held in June. Check online for exact dates. Well as it is a traditional tourist place you can find tons of shops here. 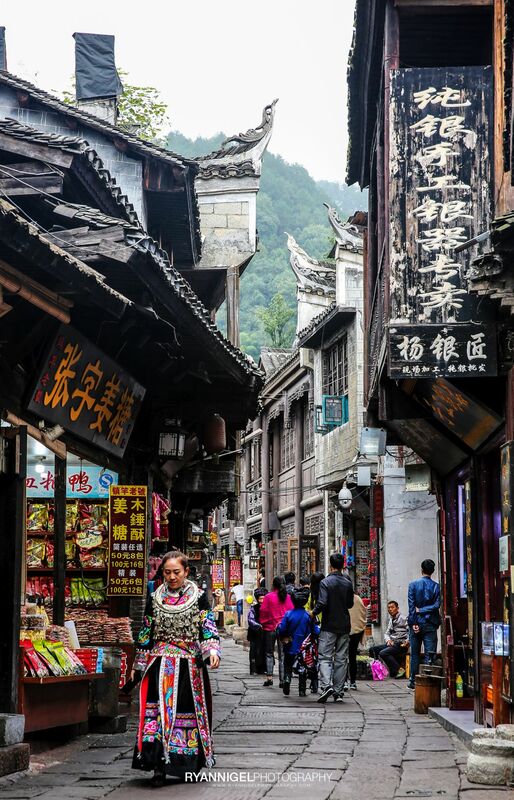 So knock yourself out on an all day all night shopping trip in the small alleys 🙂 But one item you should get and taste and that is the ginger sugar or Jiangtang/ jyang-tung. 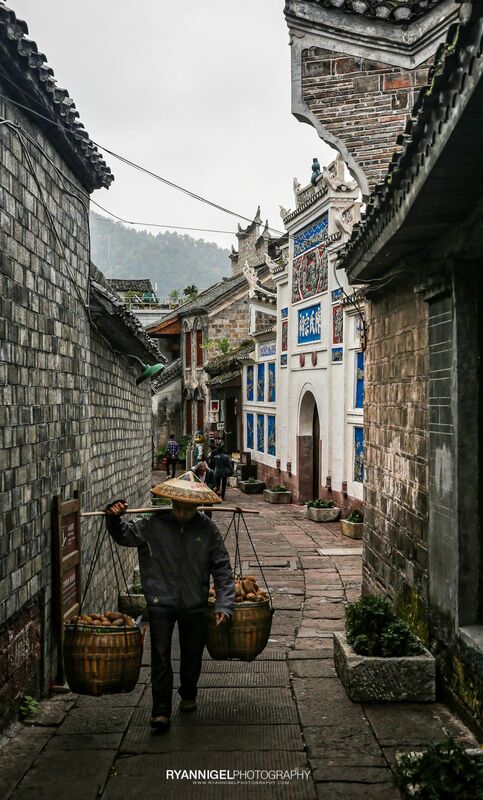 Around town (radius 25km) there are more attractions like the Southern Great Wall and Shanjiang Miao Village. You can check with local tour operators or take a bus to go there. I don’t write everything down for you, because I want ot leave some to your own imagination 🙂 The links below will help you further. 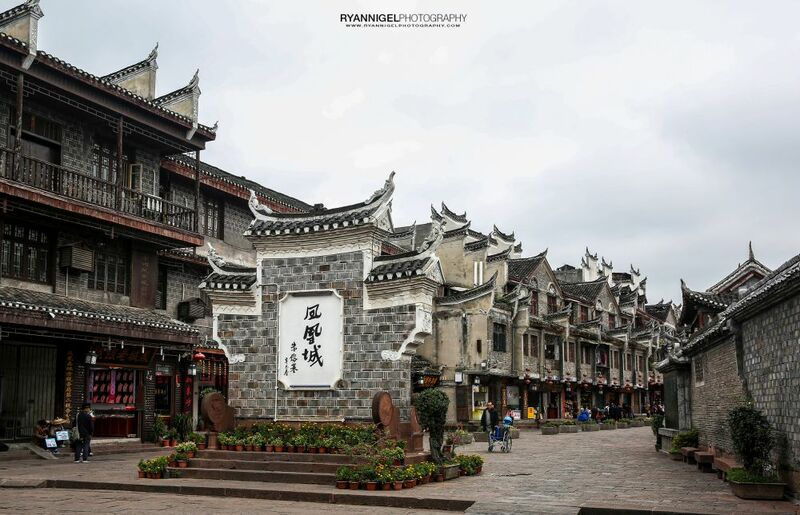 The nearest airport, Tongren Fenghuang Airport (TEN), in Tongren City is only 34km away from Fenghuang County and the nearest train station in Jishou City is only 50km away. 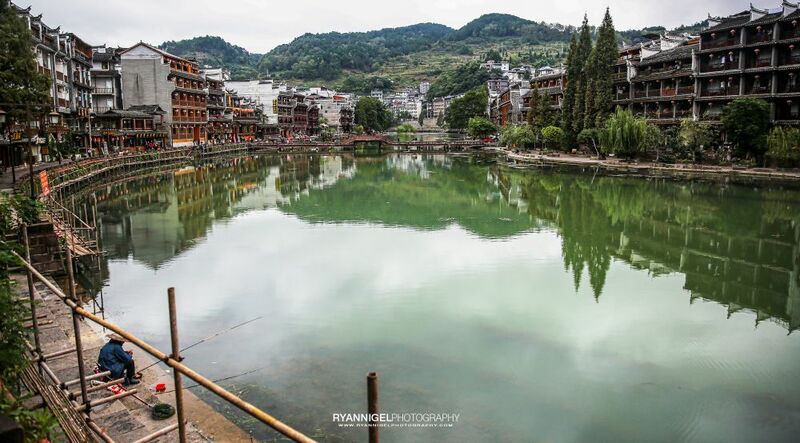 After arriving at Fenghuang Airport or Jishou Train Station, tourists may take a bus or taxi to Fenghuang County. 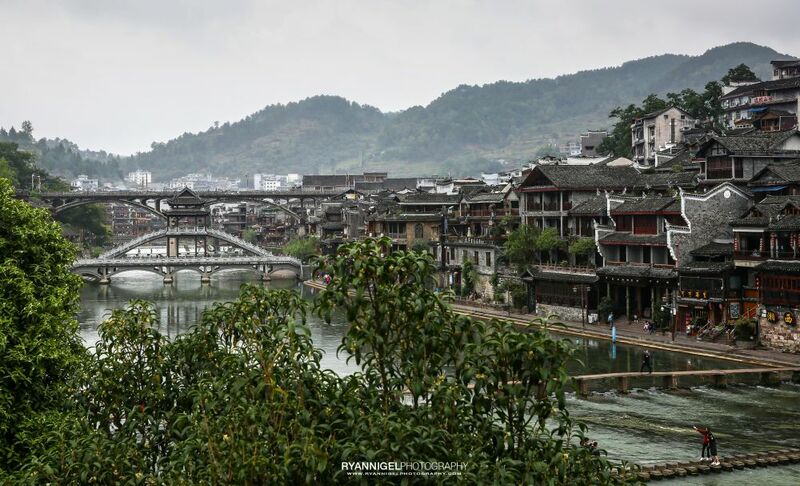 Zhangjiajie Airport and Huaihua Train Station are also often used as transfer stops for Fenghuang County. 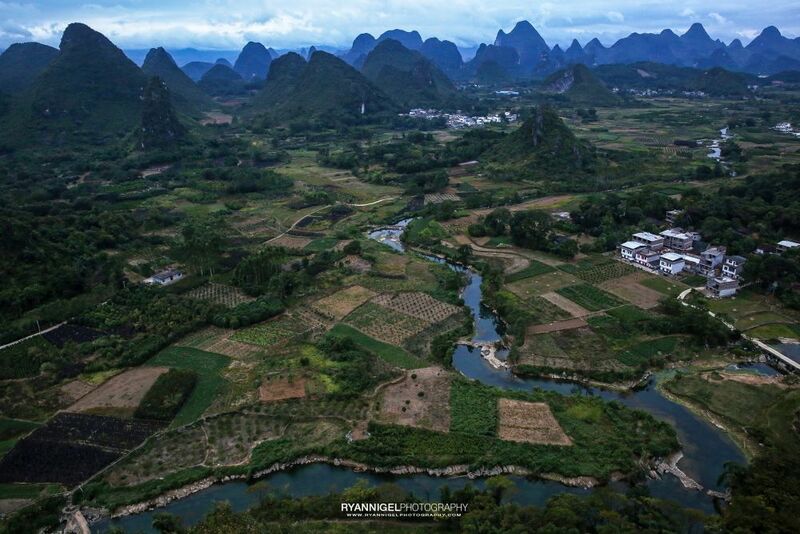 International travellers can fly on Guilin Liangjiang International Airport and take a bus from there. 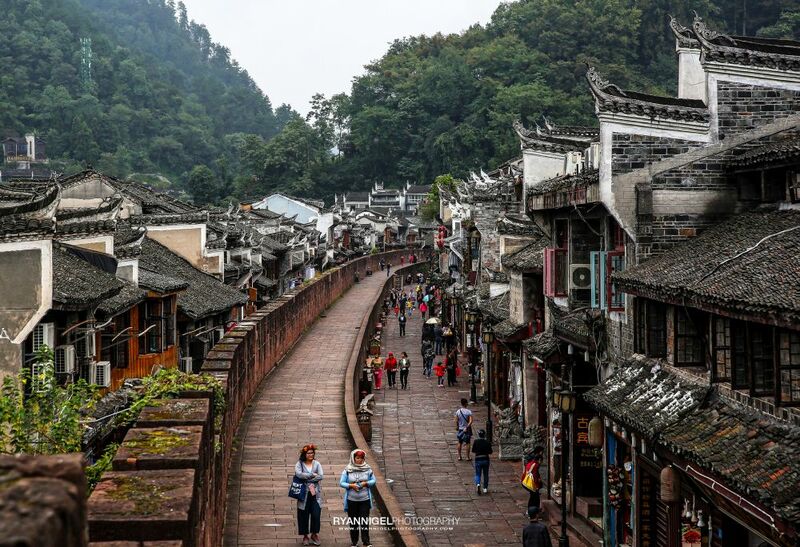 Since 2012 a new expressway has opened and Fenghuang can now be easily accessed from a number of locations. 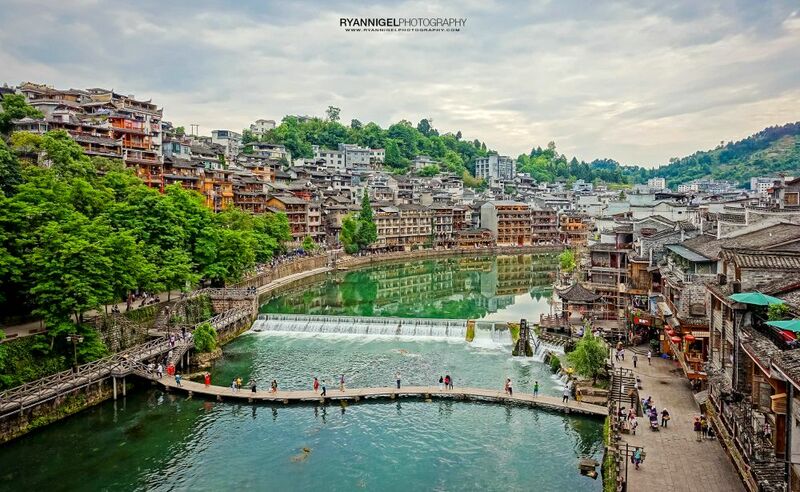 Bus travel is probably the most convenient way to get to Fenghuang. There are direct buses from numerous cities in China, but the four most common direct routes are from Changsha, Jishou, Huaihua, and Zhangjiajie. As of April 2014 there is now a central bus station to all destinations listed and travel times appear to have been reduced with road and tunnel improvements. 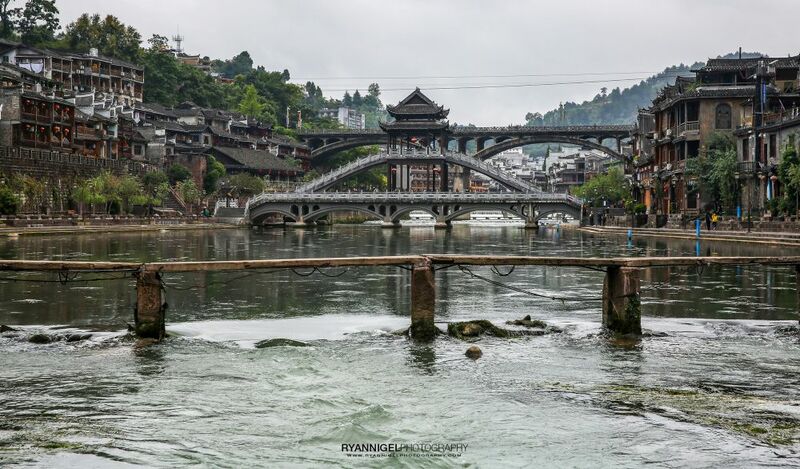 Fenghuang has no trainstation. However it is frequently faster to travel to either Jishou or Huaihua first and then travel by bus to the city center. 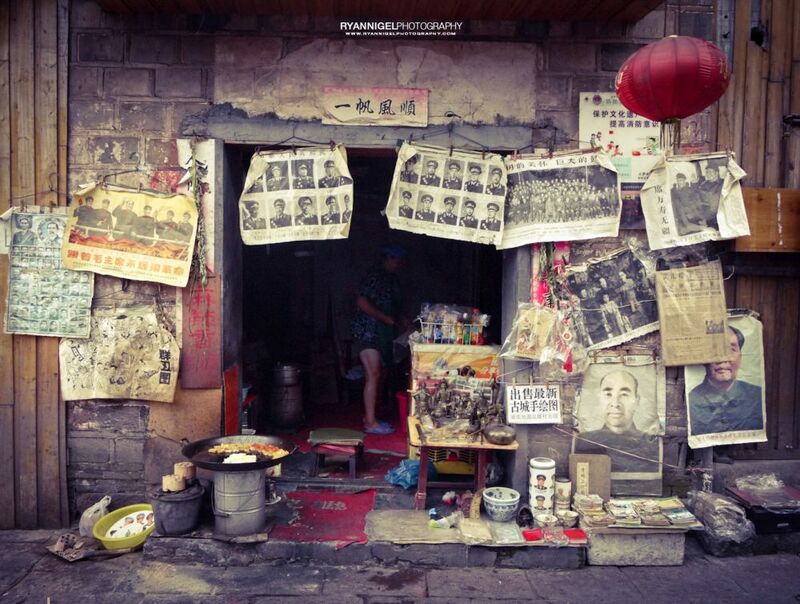 Or you can depart from Tongren South train station. A shop but it looks soooo coooool !